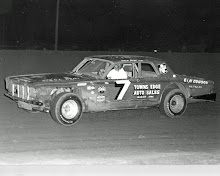 Cedar Rapids, Iowa (September 20, 1970) - Fred Horn of Marion piloted his 1970 Plymouth Roadrunner to victory in the 50-lap race for late-model stock cars Sunday at Hawkeye Downs. 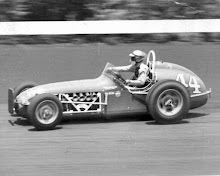 No sooner had Horn picked up the checkered flag than he announced he was quitting the International Motor Contest Assn. Sunday's race on the half-mile dirt track was sponsored by the Greater Iowa Racing Assn. "I'm through with IMCA," declared Horn after accepting congratulations for his win. "They just won't pay any money - they don't make it worthwhile to race. "I made more money tonight ($750) than I can by winning two 100-lappers next week at Oklahoma City and Odessa (Mo.). 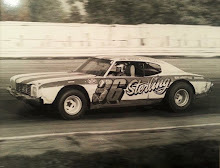 "About all I can say about IMCA is that I've learned an awful lot the last two years racing behind Ernie Derr (perennial IMCA champion) . . . No, I don't know yet what I'll do next year." Horn presently ranks third in the IMCA point race behind Derr and Ron Hutcherson. He said he feels he can still hope for at least a fourth-place finish, which would assure him a decent cut of point fund money. 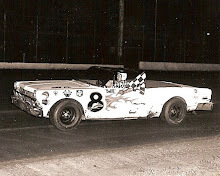 Freddie started eighth in the 20-car field Sunday and moved into second behind leader Ed Sanger of Waterloo on the 22nd lap. That's when Bill Zwanziger of Waterloo, who was running strong in second place, experienced some tough luck going into the fourth turn. Zwanziger's '70 Nova ran over a runaway wheel (with axle still attached) and the accident knocked Bill out of the race with a broken radiator and damaged left-front wheel. 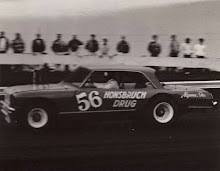 Horn stayed right on the bumper of Sanger's ‘70 Monte Carlo for the next 12 laps. He got his chance on the 34th lap when Sanger got a little squirrelly coming out of turn four. Freddie moved inside quickly and he stayed there to win by a comfortable margin. Sanger was second and pocketed $500. Chub Liebe of Oelwein nipped Terry Messersmith of New Hampton by an eyelash for the $350 third place money. Joe Schaefer of Waterloo won $200 for fifth. Mark Mosier of Washington copped the eight-lap trophy dash and the 20-lap consolation, comprised of non-qualifiers and non-money winners in the feature. Gene Schattschneider of Algona topped the qualifying with a 26.40 clocking. The three- track champion at Boone, Algona and Alta started on the pole in the feature and set a fast pace for the first eight laps before bowing out with engine problems. Horn had the eighth fastest time, but he made a complete tire change before going racing. "I used Hoosiers during time trials, but I switched to Goodyear’s for the race," explained Horn. "Some tires work on some tracks and not on others."